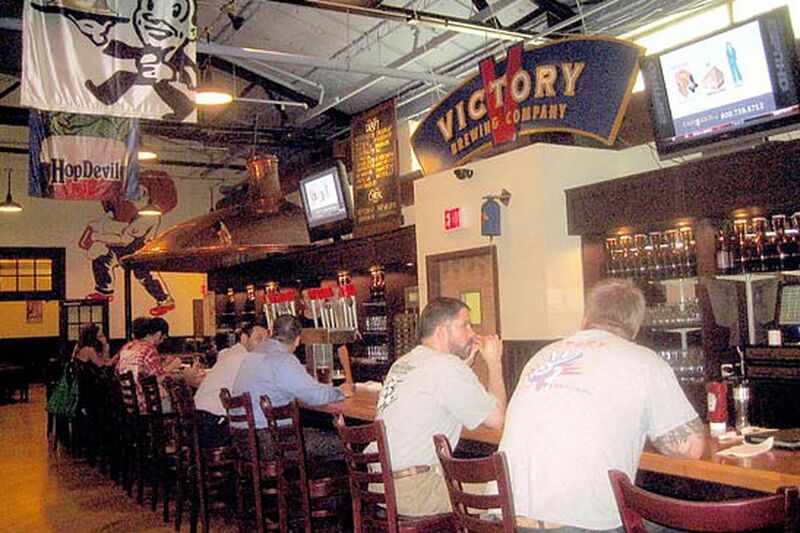 Victory Brewing in Downingtown is adding three new year-round offerings. Victory Brewing Co. turns 23 this month, and it’s celebrating the way any self-respecting beer-maker should: With more beer. Victory will release three new year-round offerings on Feb. 15 — the same date on which the Downingtown brewery opened to the public in 1996. It also will introduce new packaging that “symbolizes the evolution” of Victory through label design, it said in a statement. Leading Victory’s new offerings is Twisted Monkey, another iteration of the company’s popular 9.5 percent ABV Belgian Tripel Golden Monkey. Similar to that beer, Twisted Monkey features the addition of mango and clocks in at just 5.8 percent ABV for a more sessionable brew. No Brainer, an everyday, go-to IPA is brewed with Mandarina, Citra, Centennial, and Azacca hops for serious citrus flavor — assisted by Victory’s proprietary HopVic system, which helps with whole-flower hopping. Weighing in at 6.8 percent ABV, this one is along the lines of successful releases like Vital IPA and HopDevil IPA. Also weighing in at 6.8 percent ABV is Victory’s third new year-round offering, Cloud Walker. It’s the brewery’s take on the hazy, lactose-laden IPA trend, featuring Citra and Mosaic hops to impart a tropical, fruity flavor. Bitterness is balanced by what Victory calls “residual” lactose in the beer, which lets Cloud Walker’s juicy hop profile shine. Come Feb. 15, those brews will join Victory’s stable of year-round beers — currently 13 offerings, according to the brewery’s website.